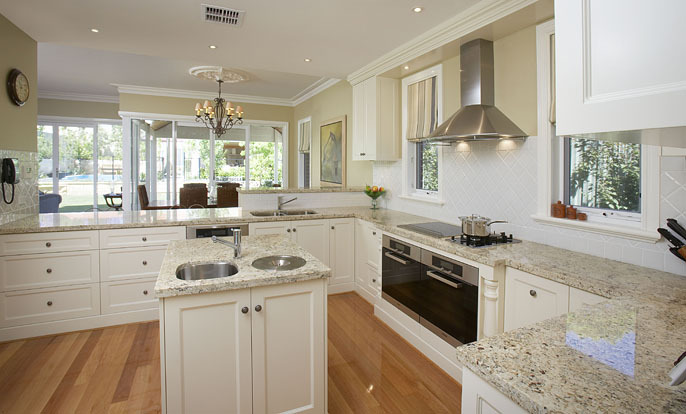 Kitchen renovations Perth? Is your kitchen past its sell-by-date? Do you long for a more useable space? Why not let the experts at Kustom Interiors transform the heart of your home today..
Not only will Kustom Interiors kitchen renovations make cooking and entertaining more enjoyable but it’s a great way to add value to your home. With 26 years of experience we understand that co-ordinating a kitchen renovation yourself can be difficult. From start to finish when you choose Kustom Interiors for your kitchen renovation, you will be given complete project management service. Taking care of everything for you from design until completion. Once your kitchen transformation is complete the only thing you need to worry about is what you will cook. 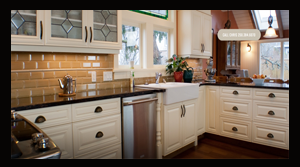 Using state-of-the-art 3D technology we will show you how your finished kitchen renovations will look. Above all giving you complete confidence in all decision making for your renovation. Whatever size your kitchen, or budget – Kustom Interiors will bring your vision to life and create a kitchen tailored to your exact requirements. For more information please contact your kitchen renovations Perth specialists at Kustom Interiors today.